Management gurus have over the years transformed businesses with their intelligent strategies, and given direction to millions of students and professionals on the best management practices and winning ways. They have enlightened the world with a wealth of information and taught invaluable lessons on discovering one's true potential. They stand out for their wisdom, ability to think differently, face adversities with strength and more importantly lead by example. India prides to have some of the best management thinkers and scholars who have proved that, "Winners do not do different things. It is all about doing things differently." "Strategy is about stretching limited resources to fit ambitious aspirations." He was ranked as the world's most influential business thinker in The Thinkers 50 list, published by The Times in 2009. Professor, researcher, speaker, author and consultant, CK Prahalad dons many roles. His book titled, 'The Fortune at the Bottom of the Pyramid: Eradicating Poverty Through Profits', highlights the need for multinational companies to realize that the huge growth market of the under-served, the bottom of the pyramid. He co-authored the bestseller, 'Competing for the Future', with Gary Hamel. 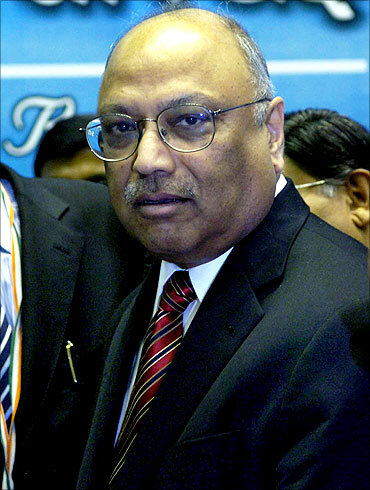 Prahalad was born and brought up in Coimbatore. 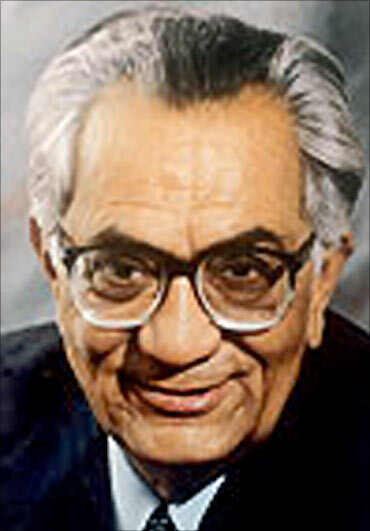 He started his career at a young age of 19 at the Union Carbide after taking a degree in Physics. The Union Carbide experience was an unforgettable experience for him. When he left, his colleagues gifted him a gold chain. "I learned about the extraordinary wisdom of ordinary people," he said on his first job. Four years later, he did his post graduation in management from Indian Institute of Management, Ahmedabad. He then moved to the US. At the Harvard Business School, Prahalad wrote a doctoral thesis on multinational management in just two and a half years. He then returned to India, where he taught at the Indian Institute of Management, Ahmedabad. Currently, he is the Professor of Business Administration at the University of Michigan Business School and offers corporate strategy consultation to a number of multinational corporations. He also heads a high-technology company called Praja Inc.
Ram Charan is one of the world's most popular business advisors. Known for his ability to solve the toughest business problems, he has worked with some of the most successful companies, including GE, Verizon, Novartis, Dupont, Thomson Corporation, Honeywell etc over the last three decades. 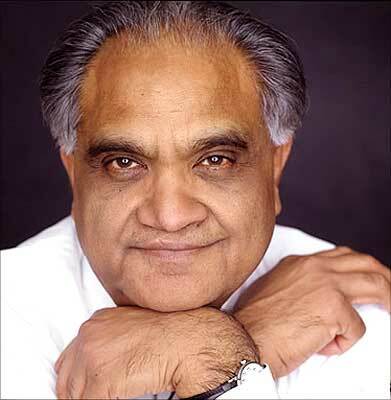 Born in 1939 in Uttar Pradesh, Charan participated actively in the family's shoe business. With an engineering degree, he left India to take up a job in Australia and then in Hawaii. He later did his MBA and doctorate degrees from Harvard Business School, where he graduated with high distinction. After receiving his doctorate degree, he started teaching at the Harvard Business School faculty. Charan is known for offering timely and relevant advice to solve complex business problems. He is the author of multiple books, including his latest publication, Owning Up: The 14 Questions Every Board Member Needs to Ask. He served on the Blue Ribbon Commission on corporate governance and was selected as a Distinguished Fellow of the National Academy of Human Resources. He sits on the boards of Austin Industries and Tyco Electronics. Charan runs his business management consulting company under the name Charan Associates located in Dallas. "Glocalization means that multinationals target only the top of the pyramid in these markets, the wealthiest 10%. But the real potential lies in unlocking the other 90 per cent." 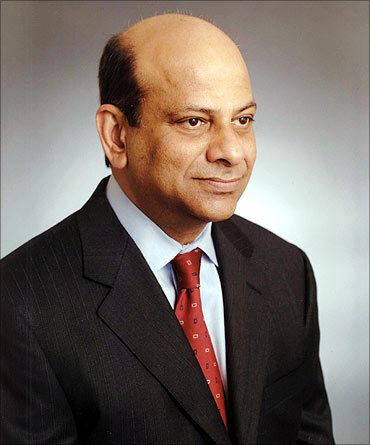 Vijay Govindarajan is one of the world's leading experts on strategy and innovation. Govindrajan says the biggest opportunities for multinationals in next 25 years will be customers moving from poor countries. He is the Professor of International Business and the Founding Director of the Center for Global Leadership at the Tuck School of Business at Dartmouth College. He is also the chief innovation consultant for General Electric. Govindarajan has ranked among the top five most respected executive coach on Strategy by Forbes. He has also be rated as an outstanding faculty member by Business Week. Govindarajan has been a member of the faculty at the Harvard Business School and the Indian Institute of Management Ahmedabad. "If we are not a part of the solution, then we are the problem." Shiv Khera's story is truly inspirational. Three decades ago, he used to wash cars and sell insurance policies in the United States. Today, he has a multi-million dollar empire. 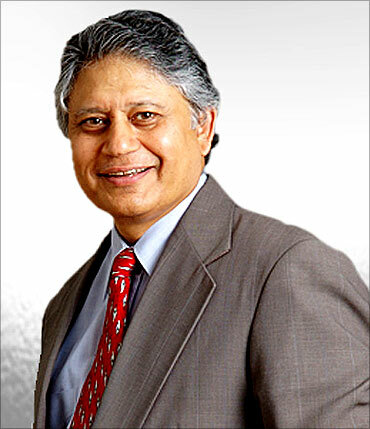 Shiv Khera is the founder of Qualified Learning Systems Inc. He has established himself as an educator, business consultant and a successful entrepreneur. He motivates and encourages people to explore their true potential and succeed in whatever they do. He has been recognized as a "Louis Marchesi Fellow" by the Round Table Foundation. Shiv Khera's client list includes, among others, Lufthansa, Johnson & Johnson, Motorola, Nestle, GSK, Tetrapak, Phillips, Gillette, HSBC, Carrier, IBM, Ericsson and GM. He has authored 12 books including the best seller book, 'You can win'. 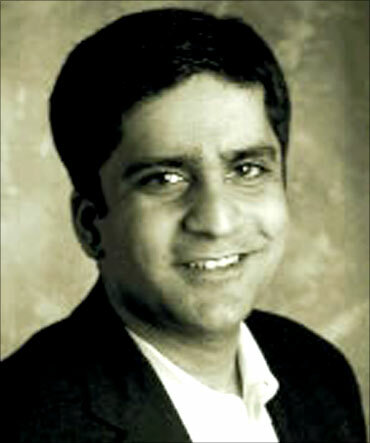 Bala Balachandran is one of the top management gurus of Indian origin in the United States. 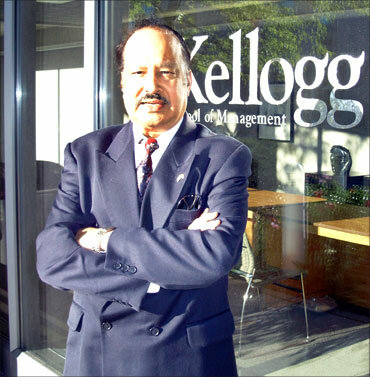 Two decades ago, Balachandran was the only Indian professor at the prestigious Kellogg Graduate School of Management in Chicago, where he has specialized in accounting information systems and decision sciences. He has been with Kellogg School for the past 34 years. He has played a key role in building the Indian School of Business, Hyderabad. He has also set up his own B-school, the Great Lakes Institute of Management, in Chennai. Earlier he worked as a advisor in the planning commission. He is on the board of directors of the Credit Rating Information Services of India (CRISIL). He is working on projects to integrate information technology in states like Gujarat, Maharashta, Punjab and Rajasthan. He is also a consultant to the governments of Israel, Malaysia and Peru. "Even if you have a (person) with the same sorts of qualities of Steve Jobs, the company is never going to be as animated or as authentic as it was when you had the founder running it." Rakesh Khurana is an associate professor of organizational behavior at Harvard Business School. He worked for three years as a founding team member of Cambridge Technology Partners before starting graduate school in 1994. He started teaching at MIT's Sloan School of Management. In 2000, he joined the Harvard Business School. His research focuses on managerial labour markets. He is best known for his book, Searching for a Corporate Savior: The Irrational Quest for Charismatic CEOs and several managerial articles. "Your mind is a Thoughts Factory and you are the production manager. It can produce either positive or negative thoughts. The ideas of others are your raw materials." Happiness, wealth, fame, fun, success, stress reduction, writing more books, traveling - you name it- are all byproducts of goal-setting, says Pramod Batra. Batra along with his son Vijay Batra have published several motivational books. Promod Batra did his MBA from University of Minnesota, USA. He worked with Escorts for over three decades. His workshops across different companies in India have been very popular. He has written several books on management, enhancing selling skills, simple solutions to retain customers, pearls of wisdom for the family and even on ways to live peacefully with in-laws! "I am proud of my country. But we need to unite to make a unified India, free of communalism and casteism. We need to build India into a land of equal opportunity for all. We can be a truly great nation if we set our sights high and deliver to the people the fruits of continued growth, prosperity and equal opportunity." Ratan Tata is ranked 12th among the world's 50 best business thinkers. Chairman of Tata Sons, the holding company of the Tata Group has steered the company with diversified interests to scale new peaks. After graduating in architecture from Cornell University in 1962, Tata had a short stint with Jones and Emmons in Los Angeles, California, before returning to India in late 1962. Ratan Tata joined the Tata group and was appointed Chairman of Tata Industries in 1981. In 1991, Ratan Tata took over the Chairmanship from JRD Tata. Under his leadership, Tata Consultancy Services went public and Tata Motors was listed in the New York Stock Exchange. Ratan Tata was the brain behind Tata Motors' first indeingously built car, the Indiaca. The world's cheapest car, the Tata nano is also his dream project. During his tenure, the group's revenues have grown nearly 13-fold. 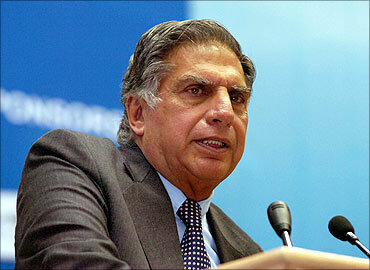 Ratan Tata was recently ranked the most trusted name among businessmen in India in a list compiled by Reader's Digest . Ratan Tata was awarded the Padma Bhushan in 2000. "There is only one ingredient for innovation and that is the power of the human mind. As long as a company is able to attract, enable, empower and retain the best of the brightest, it will have a play." 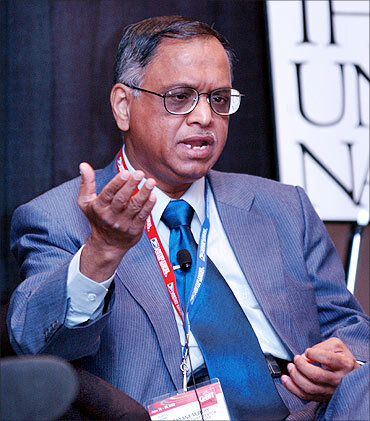 N R Narayana Murthy is a name synomyous with the Indian IT industry. He founded Infosys in 1981. Under his leadership, Infosys has grown to be a global company. It was listed on the Nasdaq in 1999. He has led key corporate governance initiatives in India. He is also an IT advisor to several Asian countries. He serves on the boards of Unilever, HSBC, Ford Foundation and the UN Foundation. He also serves on the boards of Cornell University, Wharton School, Singapore Management University, Indian School of Business, Hyderabad, Indian institute of Management Technology, Bangalore and INSEAD. S 'Kris' Gopalakrishnan who co-founded Infosys Technologies Ltd. and has been its chief executive officer and managing director since June 22, 2007 was ranked 15th in the list of world's 50 best business thinkers in 2009. The 36 Indian products of the year!